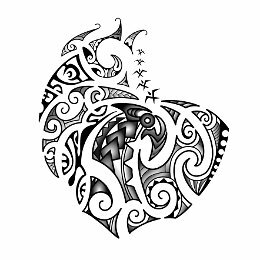 Cristian requested this Maori styled tattoo to cover an old tattoo and to represent some values that are important to him. We shaped it like a phoenix spreading her wings, using the head of a manaia (a protector spirit symbolizing also the union of the elements) to make the head of the phoenix. The body and head of the phoenix cover the old tattoo with spear heads, symbolizing the warrior, strength and valiance. 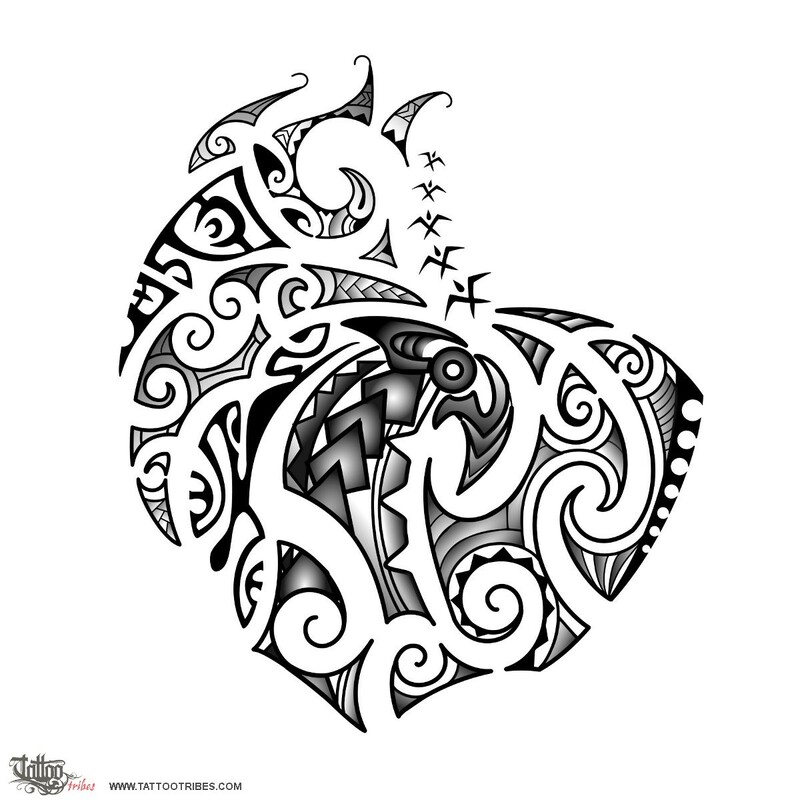 We placed koru and double spirals inthe wings to symbolize life, a new beginning and eternity with several other elements like the rito rito motif symbolizing family and union (like the braid), an octopus tentacle (intelligence and tenacity) and shark teeth (adaptability, strength and protection). Birds represent freedom and communication to the gods; the right wing includes a hammerhead shark motif (tenacity and determination) and the left wing recalls the shape of an adult fern (maturity, adult man) and has a stylized lizard for health and good luck.